India is one of the BRIC countries and has grown well in the last decade. When it comes to the denim industry , we find that the growth has been tremendous with the denim capacities having doubled in the last 5 years to more than 800 million mtrs now. Indian denim capacities have not grown on the support of export demand but due to its huge domestic market which is not showing any signs of reducing its hunger for denim. With over 500 million mtrs of denim being consumed in India alone and the market growing at over 10% p.a , the potential for market growth is tremendous. This is the reason that capacities are growing on a very regular basis. We can safely predict that within 5 years, Indian denim market would be bigger than that of USA. This market also has potential for fabric companies wanting to export to India. However, the major hurdle is the duty structure which is protective for Indian Industry and not conducive for large scale imports . This duty structure protects the Indian industry and is likely to do for some more time. Besides the duties being high , the process of duty calculations is very cumbersome and for an importer wanting to import denim into India, it is a headache to understand the same. Denim not only falls under different heads, but the duty structure changes with the change in price. Then the other factor is the dollar /rupee exchange rate. This rate has been fluctuating rapidly over last year or so. With the change in dollar rate, the duty % can actually changes. Hence we have to take the exchange rate also into consideration. What we have done is that we have created a duty calculator for calculating the duties at various price levels and under various heads so that it becomes really easy to find the duties applicable. This is a dynamic calculator where users can use the current exchange rate and enter different prices of fabrics (under different heads) as guided and get the duty % . Thus it is useful for exporters to and importers into India. 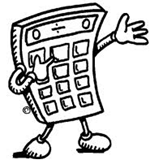 This calculator can be downloaded from the download link available to our subscribers.